Berwick Viewfinders Camera Club Inc. Presentation slideshows. 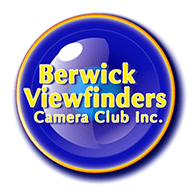 - Berwick Viewfinders Camera Club Inc.
from the input end (cameras/scanners) to the output end (screens, projectors and printers). This is the March 2016 Club presentation, given by Phil Mitchell, on Colour Management. This is the slideshow from the April 2018 Club presentation on image sharpness and sharpening in post processing. This is the slideshow from the May 2018 Club presentation on metering, exposure and focus in todays digital cameras. Presented by Phil Mitchell, this tutorial aims to give club members a better understanding of their cameras.